Meet Disha Malhotra. 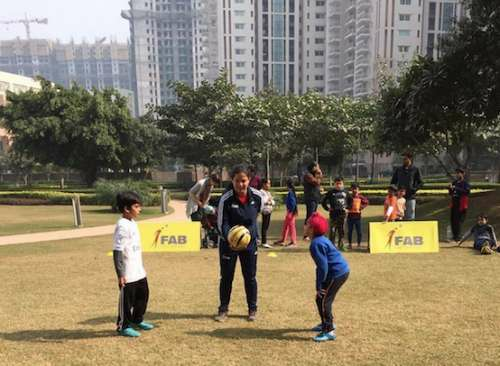 She is a Former Indian women’s football national team player (U19) and presently classified as a UEFA C Licensed Coach. The UEFA C license is a combination of FA Level 2 License, FA Youth Award Module 1 License, FA Youth Award Module 2 License, FA Safeguarding Children Certificate, and FA Emergency Aid Certificate. She holds a Bachelors of Art in Sport Management from the University of Michigan and has worked in the past for various football clubs and associations in the US. She has also played football in Italy for a year and the United States of America for two years in the past. Q) Firstly, when did you start playing football? What made you pick the sport in a nation where cricket is number one? I started playing football in my 8th grade. I never enjoyed playing cricket, thus it was not an option for me. I did enjoy playing basketball from time to time, but once I got into football, I fell in love with the beautiful game and my passion for the sport has been growing ever since. 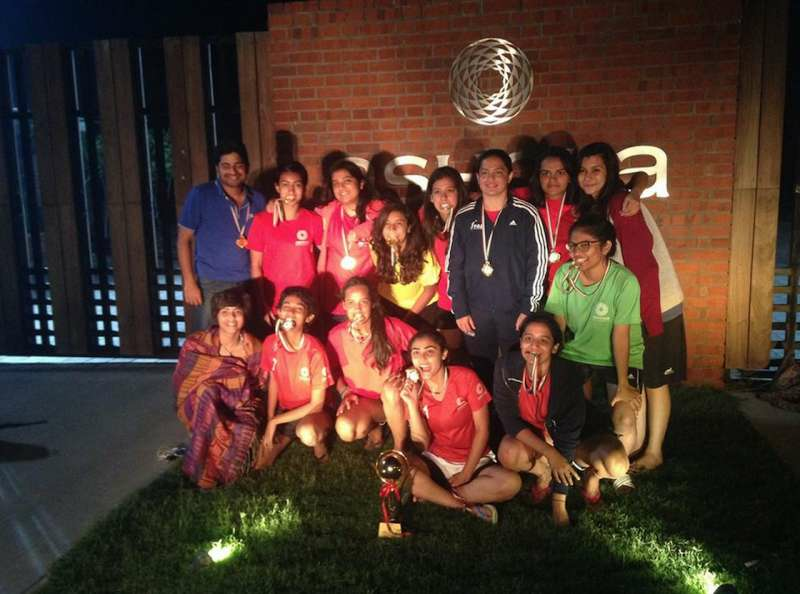 Q) Did you face any problems as a woman football player in India? If yes, how did you overcome these issues? Yes, I did face several issues which included having no female team in my school, no place in Delhi where even 11 females played together, poor quality of coaching, lack of tournaments/league, no clubs, poor structure, no scope/opportunity to make it a full-time profession, lack of facilities/infrastructure, close minded thinking of society, football stereotypically being a male dominant sport and, low importance and value given to women footballers. I think my love and passion for the beautiful game, relentless support from family and my sheer grit and determination helped me overcome the issue. I, along with a few other females who liked playing football convinced our coach in school to form a women’s football team. Unlike today, we were among the 5 schools in Delhi who had a dedicated women’s football team. Further, as playing with females was not much of an option, I started playing with the boys. I trained hard to get into the Delhi state team and then soon represented the Indian National Team. After playing for India in my 12th grade, I realized I had to go abroad to get professionally trained so that I can become a better player. As far as the outlook of our society is concerned, I believe that I had to be an exception and solely based on my success in becoming an example, I could play a part in the process of changing gender stereotypes. Also, as there was no scope available to pursue football as a profession in India, I decided to create the scope, by going abroad, subsequently getting international standards coaching and managerial expertise and, eventually come back to try and help play a role in changing the attitude of people regarding football in the country. 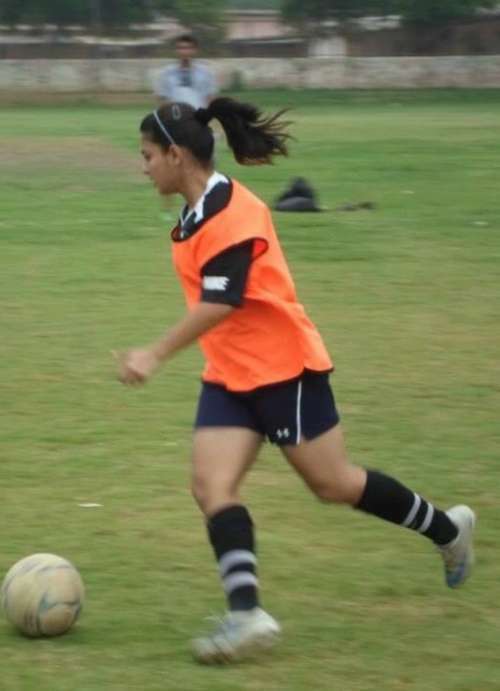 Thus, I went to Italy and got trained under a UEFA licensed coach and also became the first Indian woman to play amongst the European elite in the Italian Seria A2 women’s league representing the club Grifo Perugia Feminile. I further decided to go to the USA to play football, as for women, USA is the best in the world. I had an option between USA and UK but I decided to go with the former as the level of intercollegiate football in the States and quality of women football is a lot better than the club football for women in the UK. Subsequently, I got a scholarship to an American University and started playing inter-collegiate football. Following my keen interest in the business facet of the beautiful game, I completed my Bachelors Degree in Sport Management from the University of Michigan. Q) What made you pick a subject like sport management? How was your experience in the United States? I picked sport management because I wanted to get the competence and the technical know-how of the management and administrative aspect of the Sport industry. Classes in sport economics, sport finance, sport economic policy, sport psychology, and sport sponsorship widened my horizon of thoughts concerning the sports industry. Taking everything into account, I had a fruitful experience in the United States. I got to learn a lot about the intricacies of the sports industry thereby earning some good work experience by working with Sporting Kansas city (MLS Club) and Michigan State Soccer Association. I also got to give football coaching in the USA, which added to my learning experience as a Coach. Q) Did you play football alongside your studies? If yes, how different was it from playing football in India? Yes, I played football in the USA along with my studies. There is an unfathomable gap between the USA and India as far as college sports is concerned. We had a conventional pre-season which included thrice a day training session alongside the pre-season games. We had fitness routines, gym sessions, water fitness session, etc. Throughout the season, we had training sessions 5 times a week along with matches on the weekend. The season included home games as well as away games so many weekends we were travelling to other states. We had a proper off-season and then a spring season as well which was all extremely well-organised, well-structured and was taken earnestly. Being part of the varsity team was a matter of honour and the university gives student-athletes immense amount of help to manage the pressure of the sport along with their academics. The level of intercollegiate soccer for women in USA is highly competitive. Q) How did you move to the Italian League? I got myself enrolled in an academy in Italy to get trained under a UEFA licensed coach. The academy did not have a women’s team though so I often found myself going through the paces alongside the boys of the academy. I yearned to play competitive professional football which motivated me to get into the Italian Serie A2 club Grifo Perugia Feminile as a forward. Q) Is there any great anecdote from your time as a football player that you would like to share with us? I have had a lot of memorable moments in my playing career but the one moment that stands out has to be representing my country for the very first time. You are on that pitch for the first time and India’s national anthem is played, you get jitters in your body. I was ecstatic and it felt absolutely blissful, a feeling that cannot be put into words, a feeling which can only be experienced and savoured for the rest of my lifetime. Q) What prompted you to make the switch from playing to coaching? Was it something that you always wanted to do? Playing careers are different than many other careers because they end at a much younger age than standard retirement age and often end unexpectedly, too. I would have definitely enjoyed a longer playing career if not for the injuries I suffered which eventually got chronic with passing time. Yes, I always wanted to become a coach but not this soon. I believe I have a lot to offer as far as football in India is concerned and I look forward to strive tirelessly in providing the youth of this country with the right platform to assist them to take the leap. Q) You are now the First FA (UEFA C) licensed Woman football coach in India. Congratulations! Have you thought about going for the UEFA B or UEFA A license in the future? Thank you. Yes, definitely I will be going for them very soon. Q) What is the idea behind Foot and Ball and what are your plans for the future of the company? After representing my country during the AFC Qualifiers in Malaysia back in 2008, a thought transpired within regarding the dire need to enhance the existing quality of coaching methodology as well as creating awareness for an otherwise talented youth of our country. It was simply the need to provide the kids with everything that I could not avail. I completed my coaching licenses from major centers of world football to equip myself with the technical know-how and expertise to help our country realise, channelise and actualise its true footballing potential. 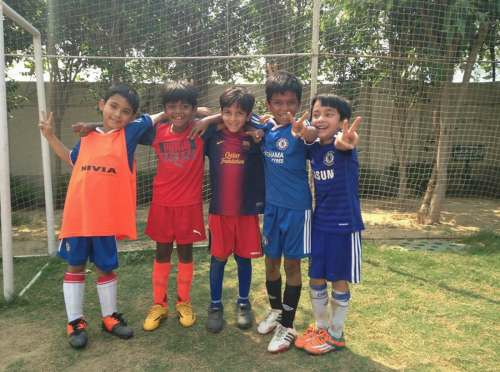 We all want India to feature in the FIFA World Cup in the future but it is not going to happen overnight, and a lot of effort needs to be put into grassroots education because the seeds we sow today, upon proper nurturing will naturally yield fruits in the coming future (considering the vast amount of talent in our country). By bringing my experience from Italy, UK and the USA, I look forward to provide the kids of today with international standards coaching and age appropriate training using a holistic approach. The kids need to be exposed to workshops on nutrition and video analysis as well as regular player profile depicting the SWOT analysis of an individual basis. Our center in Vasant Kunj, which starts from 1st August 2016, has a one-of-a-kind 3rd generation artificial grass turf. By amalgamating the international coaching standards and infrastructure, we also aim to provide guidance to individuals regarding national team & club (both national and international) selections alongside preparing players to avail sports quota, scholarships, and admissions within India as well as abroad. After successfully running two centers in Gurgaon and Ashoka University-Sonipat respectively this past year, we are thrilled to kick off our third centre in Vasant Kunj on 1st August 2016 for kids between the age groups of 3 years and 17 years catering to both boys and girls. Q) Lastly, is there a player or team that inspired you to start playing football? Which team do you support and who is your favourite player? No, I just started playing Football and immediately fell in love with the game. I support Liverpool Football Club and no, I don’t have a favorite player.